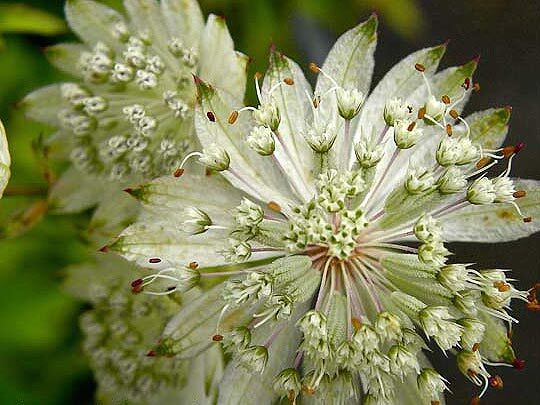 Perennials with both arresting flowers and attractive foliage that grow robustly in part to full shade are not rare, though the list certainly is shorter than that of perennials that prefer to play in the sun. 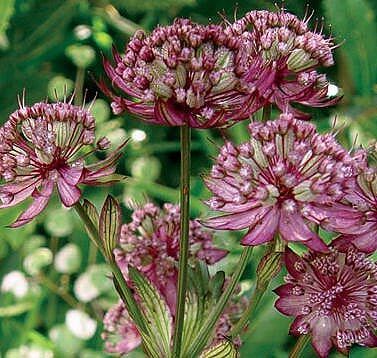 Astrantia is one such shade-loving perennial that is not known to near enough gardeners. Horizontal, lobed, circular to maple-like green leaves form in mounds up to 16” high and are attractive throughout the growing season. In bloom, plants grow from 18” to 36” tall with equal spread, depending on variety. Flower colors range from white to various shades of pink to rich red. Each blossom is an umbel of tiny flowers set atop a collar of papery bracts. Most varieties will offer periods of bloom from June into early fall, particularly if deadheaded after each bloom session. ‘Abbey Road’ – Perhaps the most shade loving of the bunch, ‘AR’ features wine-red flowers, bracts with attractive reddish stems, and red veining in the leaves formed off the flower stem. Zones 4-9. ‘Shaggy’ – A splendid white-blooming variety, zones 5-9. ‘Vanilla Gorilla’ – A newer variety that stands out in the shade garden. Leaves are blue-green with vanilla margins, deeply lobed, while blossoms are a silvery-pink. Zone 4-9. ‘Buckland’ – Plants sport larger flowers than most varieties, and what a flower: soft white morphing to green at the tips of the bracts beneath light pink blossoms. 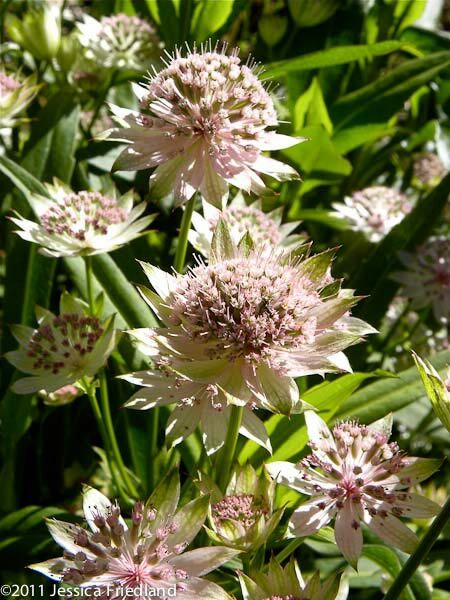 Planted Astrantia in swaths, or single placement popped helter-skelter throughout the shade garden. 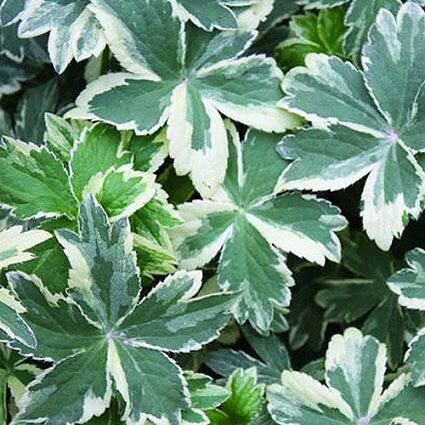 Plants have a very natural, woodland look to them, and work well in combination with other woodland perennials, shrubs and groundcovers, in addition to the usual shade garden suspects: hosta, ferns, polygonatum, pulmonaria. Soil should be well enriched with organic matter. Do not allow soil around plants to dry out.